Seeburg Service Center’s ASE-certified mechanics are experts in automotive electrical systems. Whether you need to replace your alternator, starter, car battery, or windshield wiper motor, Seeburg is the place to go. We can also repair any problems that pop up within your car’s electrical system. The battery is the backbone of your vehicle’s electrical system. It supplies power to the starter and ignition system, and it also delivers the extra power needed when the electrical load exceeds the alternator’s supply. 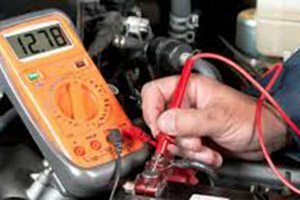 You should have your battery and its connections checked every time you have an oil change. Additionally, if your battery is more than three years old, consider replacing it to prevent sudden battery failure. Vehicles that are not frequently driven require battery replacement sooner than those that are driven daily, because batteries that are kept fully charged last longer (though overcharging can be dangerous). When was the last time you replaced your battery? The alternator is your car’s electrical charger. It generates direct current to recharge the battery, and it also helps power the other electrical loads of your car. 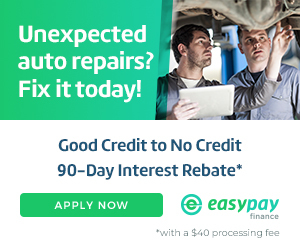 You should have your car’s electrical system checked once a year, and if you experience frequent bulb replacement, a dead battery, or dashboard warning lights, know that a worn alternator could be the cause. The starter cranks the engine when the ignition switch is turned on. It’s located on the back of the engine or the front of the transmission. Each spring, we recommend that you have one of our ASE-certified mechanics test your starter to make sure that it is drawing the correct amount of current. Your vehicle’s power door locks allow you to lock and unlock the doors by simply pressing a button or flipping a switch. Power windows, on the other hand, are an electrical convenience that move your windows up and down so that you can let in a breeze on beautiful days, eliminating the cranking handle mechanism used in years past. If you need to replace or repair your power locks or windows, simply give Seeburg Service Center a call. Your windshield wipers are propelled by a motor, which moves the pivoting arms (attached to rubber blades) back and forth. During rainy and snowy conditions, your windshield wipers are absolutely crucial in providing the driver with visibility and safety. If your windshield wiper motor stops working, pull over and avoid driving the car until the weather improves. You will need to have the motor replaced, and the type and cost will depend on your vehicle. Consider replacing the windshield wiper blades while you’re at it! In addition to the parts listed above, Seeburg Service Center’s experienced mechanics can also repair a variety of other components of vehicle electrical systems. So if your electrical system is damaged or in need of replacement, please contact one of our four friendly locations: Springfield (MO), Springdale (AR), Rogers (AR), and Fayetteville (AR). Or, if you’d rather, you can schedule your automotive service online with the click of a button!